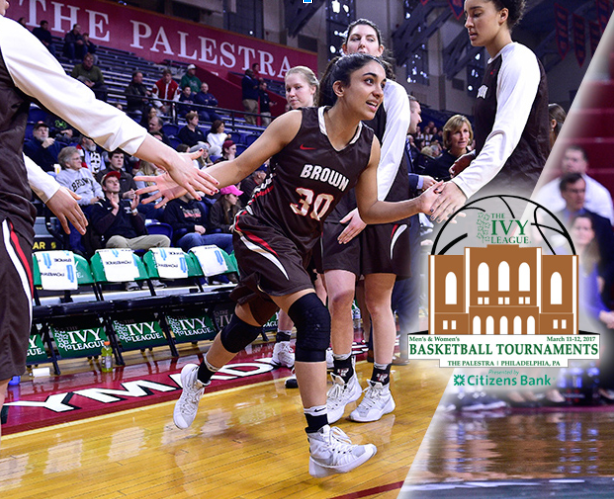 Shayna Mehta is the starting point guard for Brown University’s Women’s Basketball Team. She is in her junior year at Brown and is majoring in Biology and hoping to go to medical school. 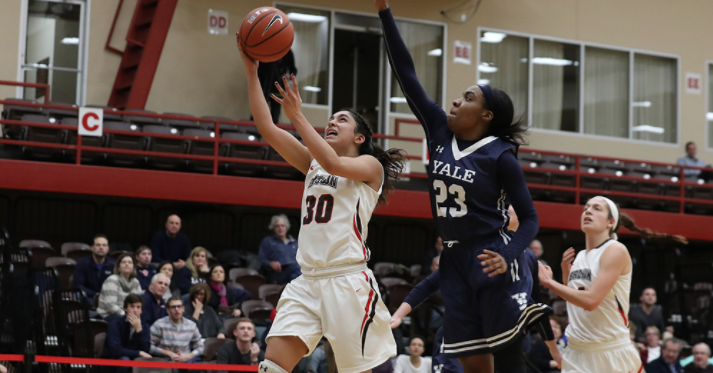 During her freshman year, Shayna was the unanimous selection as the Ivy League Rookie of the year, and in her sophomore year, was not only named the team Most Valuable Player, but also was selected to the All-Ivy Team, All-Tournament team for the Inaugural Ivy League Tournament and was third in scoring (15.7 ppg) amongst all Ivy players. This year Shayna’s goals are to win the competitive Ivy League Championship and lead her team to the unchartered territory—the NCAA Tournament. Shayna grew up in San Francisco and while a sophomore in high school was selected as San Francisco City player of the year, averaging 23.9 points, 7.4 rebounds and 5.5 in assists per game. She was selected to the CIF Division V All California Team, City All-Metro Team and Bay Counties League West player of the year, along with many other awards. 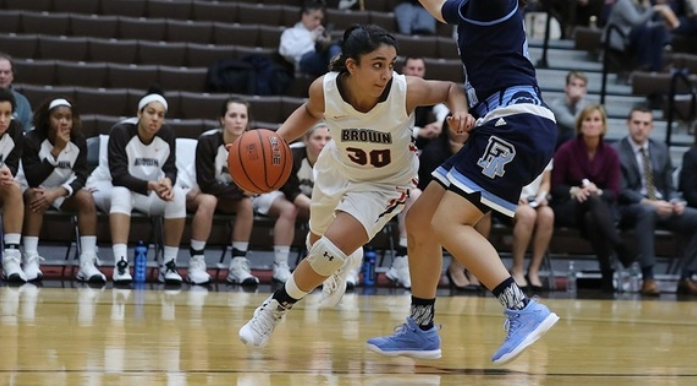 She also recently joined the Brown men’s basketball broadcast team at halftime of the Bears’ game against Bryant on Monday to discuss her rookie season, this year’s team, and her journey to Brown. “Growing up, I was a proud gym rat, playing many of the organized ball sports available in my school and community. I started playing basketball with my dad when I was seven years old and then progressed to playing for local girl’s and boy’s teams. As I grew older, my love for the game flourished. Soon, basketball eclipsed my free time and most of my summer vacations. In high school, while many of my peers would stay out late and socialize on weekends, I would be in the gym developing my skills. I’m often asked where my affinity and love for basketball comes from, particularly as a desi girl growing up in a family of first-generation professional doctors, engineers, and CPA’s.My answer has always been that basketball allows me to live in the moment and show a creative side most people don’t see—it’s my medium for expression. I feel fortunate to have supportive parents who have encouraged me to follow my passion to play a sport. They have allowed me to challenge traditional cultural barriers in athletics with their guidance. With so few desi women athletes in sports to follow as role models, my parents’ support has been the key to my achievements to play as a student-athlete in the competitive Ivy league. I am happiest when I play basketball. Being able to focus on nothing but the challenges of the game at hand is something that I find peaceful and exhilarating. Much of the pleasure I get from playing basketball is the way the game sparks my creativity. When I play basketball, a hidden side of me is awakened. I can be as artistic and creative as I would like. When I express myself on the court, whether it’s making fancy dribbling moves, no look passes, step-back three’s or “juking” players, I feel like I am in my element. Normally a reserved person, I am uncharacteristically daring with the ball in my hands: from the colorful basketball gear I wore in high school, to the uptempo playstyle at Brown, which also mimics the stars of my local NBA team, the Golden State Warriors. It’s a great joy of mine to defy expectation and surprise people who don’t expect a 5’7” desi girl to play at this level. Basketball has also allowed me to give back to a community my parents grew up with. My dad is Punjabi and my mom is Tamilan. 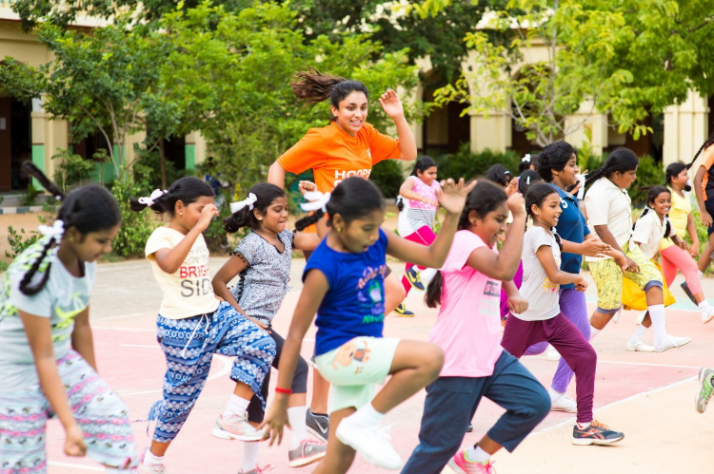 Last summer, I spent 18 days in Chennai as a volunteer with Crossover Basketball Sports Academy, a non-profit organization dedicated to impacting the education rates of marginalized communities in India through the sport of basketball. I worked with groups ages 8-14 from local private and public middle schools. Seeing their excitement match mine over the game of basketball was incredibly eye-opening and I cherished my daily interaction with the students. Crossover’s Hoops Creating Hope program aims to develop a link between the organization’s five pillars: leadership, gender equity, character, teamwork, and communication—and academic success and future goals. During my next trip to India, I would like to play with other Indian women at the collegiate or professional level and gauge their strength and style of play. I dream of empowering more women and getting more desi girls involved in the sport I love, both in India and in the US. Playing professionally in the WNBA is another dream that I would like to explore. Competing against the most skilled and talented women athletes in the world is a challenge that motivates me. A 5’7” desi girl playing in the WNBA. Why not? Do you know a Brown Girl who is awesome at what she does? Send an email telling us why at [email protected].